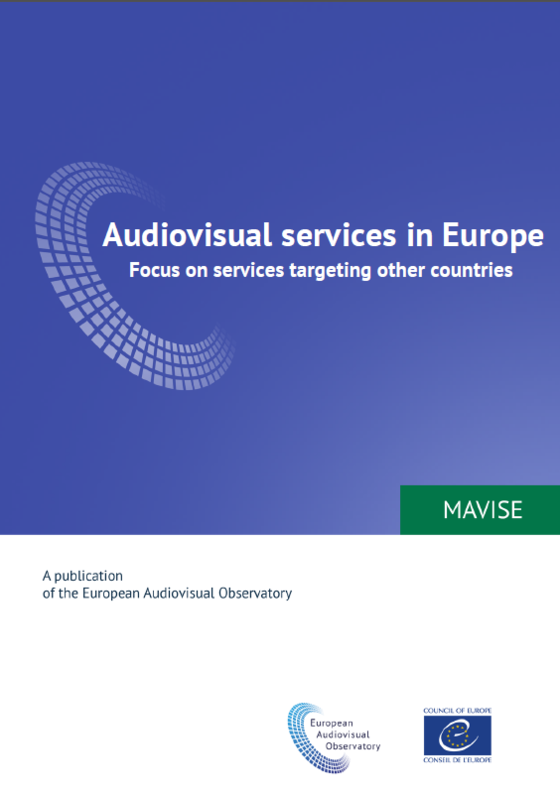 The European Audiovisual Observatory (EAO) has published in June 2017 a report which provides an overview of the European audiovisual media landscape by mapping the origin of linear and on-demand audiovisual services and their circulation. The main focus of the report is on services targeted specifically at other countries, reflecting a trend whereby an increasing number of services are targeting a particular national market from abroad. Highlighting the role of the recently-emerged establishment hubs, as well as trends concerning ownership structures and content features (Chapter 2), the report examines the television channels and on-demand services established in Europe (Chapter 1). Finally Chapter 3 maps the circulation of those services. The major findings are summarized in three parts: services based in Europe; services targeting other markets; and the distribution of services in Europe. Audiovisual media services established in Europe: Half of all audiovisual media services established in the EU at the end of 2016 were concentrated in three countries: the UK; France; and Germany. Two thirds of all TV channels established in the EU in 2016 comprised seven genres, the top-three being: sports (15%); entertainment (13%) and film (9%). It is noticeable that, in the European Union, the majority of television channels were pay and/or premium services while 30% were available free-to-air. TV channels and on-demand services targeting other national markets: At the end of 2016, around one third of all television channels and on-demand services established in the EU were specifically targeting foreign markets. And conversely the market power of foreign services specifically targeting a national market can be significant. In 2016, around three quarters of all linear and on-demand media services established in the EU that are targeting foreign markets were concentrated in just three countries, the United Kingdom being the indubitable leading European hub. Distribution and availability of linear and on-demand audiovisual services in Europe: Access to audiovisual services in 2016 varied greatly from one European country to another but was less pronounced for on-demand services. In two out of three EU countries, people were able to watch between 300 and 600 television channels on average. The majority of TV channels available on average in a given country in 2016 were foreign channels: 84% of all on-demand services and 74% of linear services available in an EU Member State had been established in a territory other than the home market. Once more the United Kingdom is leading with 59% of TV channels primarily targeting other markets and 47% concerning the on-demand audiovisual services targeting other markets.